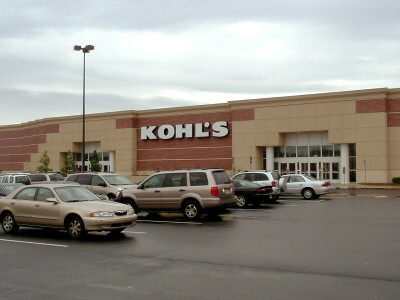 The exterior of a typical Kohl’s department store in Northeast Columbia. It looks like 2016 is going to be a bad year for Kohl’s as they announce 18 stores will be closing this coming year. Or perhaps its not so bad after all. Kohl’s says that sales from the 18 stores listed for closure represent only 1 percent of the company’s total sales. Closing the stores will make it easier for the giant retailer to focus on its burgeoning on-line business. Which stores will be put on the chopping block will be announced this month. “While the decision to close stores is a difficult one, we evaluated all of the elements that contribute to making a store successful, and we were thoughtful and strategic in our approach. We are committed to leveraging our resources on our more productive assets,” Kevin Mansell, CEO of Kohl’s, said. The company also announced that it will be opening seven new “smaller format” stores in the Midwest as well as 12 FILA outlet stores in the coming year. Kohl’s is based in Wisconsin, and had fourth-quarter earnings of $296 million with a net income of $1.58 per share. Revenue for the same period totaled $6.4 billion.